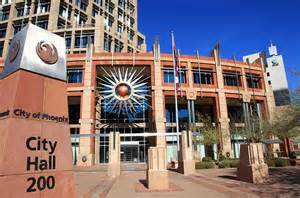 By now, many people are aware of PLEA’s letter to Mayor Stanton in response to the recent public remarks he made on January 25th with regards to President Trump’s Executive Orders and now, the City Council, within the next two weeks, is scheduled to hear arguments as to why Phoenix should become a “sanctuary city” due to a recent citizen petition. PLEA has always stood for and backed the rule of law and this case is no exception. While PLEA was at the tip of the spear when it came to the passage of Arizona’s SB-1070 several years ago, it wasn’t about Phoenix Police Officers doing Immigration and Customs Enforcement’s job. It was to give our officers an option in the event that through the course of police work such as subject and vehicle stops, calls for service, and follow-up investigations, that if they developed probable cause the individual they were contacting was in the country illegally, police officers would be able to contact the Department of Homeland Security to determine if the individual was in the country illegally. Absent a criminal immigration violation, in the event the situation called for an arrest based on violation of a Phoenix City Code or Arizona Revised Statute, the individual could be issued a Citation In Lieu of Detention if they met the criteria, otherwise they would be booked into the County Jail, where federal Homeland Security Investigations personnel would conduct necessary follow-up investigation regarding immigration status. The Phoenix Police Department’s policy regarding immigration enforcement is contained in Operations Order 4.48, a comprehensive 11 page document, which specifically outlines what officers can and cannot do in these cases. Considering the Phoenix Police Department is in a staffing crisis and down 1000 positions from where we should be staffed for a city of 530 square miles and a population of over 1.5 million people, being a “mass deportation force” is a blatantly false and inflammatory statement as we are literally running call to call because of the staffing shortage. PLEA President Ken Crane spoke with local radio talk show host Mike Broomhead about this very topic this morning.